Preventive care in Sioux City IA to treat gum disease! Gum disease is a sneaky destroyer of teeth, and it causes more tooth loss than simple decay does. In fact, you might not notice gum disease right up until you lose your teeth. So how do you know if you’re in trouble? Symptoms include bleeding gums when you brush or floss and loose or shifting teeth. Already infected? Don’t worry. If you’ve been informed you need gum surgery, you will be thrilled to discover that it’s now possible to control gum disease with an assortment of non-surgical methods. Modern medical studies have caused many doctors to reach an unsettling conclusion: gum disease, stroke, and heart disease are linked. 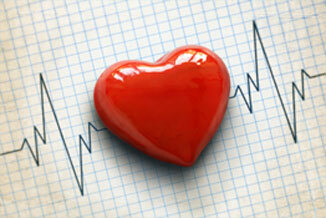 Since heart disease is often deadly, it is obvious that gum disease should be treated – pronto. The American Dental Association’s statistics show that as many as 8 out of 10 Americans already suffer from periodontal (gum) disease. If this were any other illness, such as AIDS or tuberculosis, it would be heralded as an epidemic! In fact, most dentists think this should be the case. However, they also realize that gum disease hasn’t been labeled an epidemic because of the impression that “no one ever dies from it.” The worst is that you lose your teeth. Not pleasant – but certainly not life-threatening. But perspective within the medical community is changing. A recent 2017 study was done by the researchers at the University of Buffalo NY on 65,869 postmenopausal women. This study is the first national study focused on women, and particularly older women. It has found that women who had a history of gum disease had 14 percent increased risk of overall cancer. It is the first study to find an association between periodontal disease (gum disease) and gallbladder cancer risk in women and men. The risk for periodontal disease (gum disease) was highest for esophageal cancer. We Do Have Good News! If your periodontal disease is an advanced case, surgery is usually required. Fortunately, this procedure is almost always successful in controlling the condition. With milder cases of periodontal disease, there are effective NON-surgical treatments that, when united with better dental hygiene, can effectively halt the spread of the disease. And now that the threat gum disease represents has been documented, most dental insurance plans provide coverage to pay for available treatment. Dr. Salmons is excited to offer his patients a formidable weapon in the fight against gum disease. ARESTIN™ comes in a powder form, containing microspheres of antibiotic, which are not visible to the naked eye. These microspheres transport a time-released treatment directly to the point of the infection (the spaces between the gums and teeth). ARESTIN wipes out the bacteria that produces gum disease. The best part is that it’s all painless! Our practice uses laser technology for the non-surgical treatment of gum disease, with results that might have been considered miraculous not too many years ago. The procedure is minimal and patient friendly, and the results have been overwhelmingly positive. We use an advanced dental laser to ensure your treatment is virtually painless. This laser is safe and effective, and is FDA approved. This breakthrough process actually can regenerate bone lost through years of gum disease. Are you a cold sore sufferer? Those unsightly blemishes around your mouth and on your lips are also likely painful. These sores are caused by the herpes simplex virus, which can cause ongoing breakouts even after creams and ointments have been used to treat individual sores. Well, we have a fantastic solution! Dr. Salmons can use a laser to kill the virus and help you heal faster. The treatment can provide immediate relief of itching and pain, and over time, eliminates the virus so breakouts are further between and eventually even stop completely. If you’ve begun experiencing early signs of a breakout, laser treatment can prevent the blisters from forming. So don’t delay! Ask us about this today. We can help arrest your gum disease and bring your smile back to health. Give us a call today at (712) 239-5900.